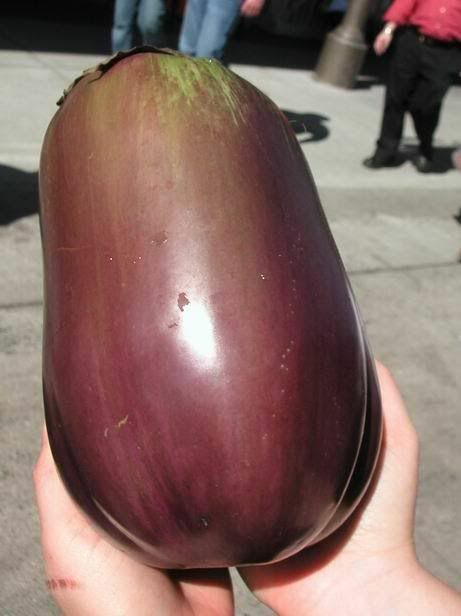 I love going to the farmers market. 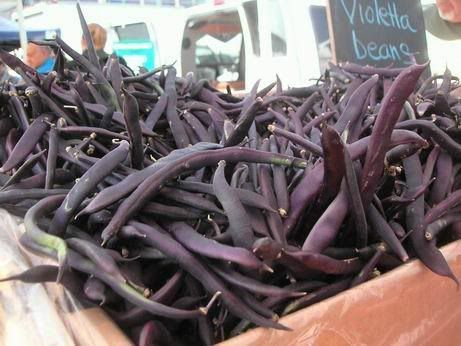 Any farmers market – as long as they sell high quality local food. I cut my teeth, so to speak, on the Wednesday morning Santa Monica farmers market. It started out as an interesting, fun activity, and became a weekly staple. When we found out we were moving to the San Francisco Bay Area, last January, I started talking about my intense desire to go to the premiere market in the area, and maybe the country – San Francisco’s Ferry Plaza Farmers Market. I’ve been day dreaming and talking about it for literally, 10 months. We live an hour’s drive and 50 minute ferry ride from the market, so the timing just hadn’t been ripe yet. But I knew, I just had to make it there before the summer was truly over. This weekend, it was Christmas, Disneyland, and a candy store (and so much more) all rolled up in one. I know everyone talks about how great this market is, and there are countless blog posts out there on the subject. But, I write this blog because I love good food, and am passionate about sustainable, local agriculture. So, it may be cliche, but I have to write my experiences of this culinary wonderland. Like sunsets and walks on the beach, just because something is cliche, doesn’t mean that it isn’t amazing and breathtaking in it’s own right. The backdrop is the sparkling San Francisco Bay, and since I called in a big favor for the day, it was clear with a few clouds to make the sky more interesting. 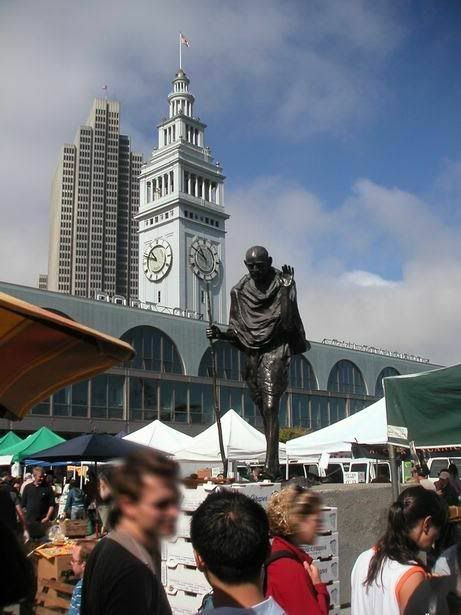 There is even a sweet unexpected bronze statue of Gandhi in the center of the market. His quote “You must be the change you want to see in the world.” is apropos since buying locally and having a direct relationship with where your food comes from makes a huge difference in the world. It was overwhelming and there was so much to take in, we only scratched the surface. I will definitely have to go back for a deeper experience. We took the first ferry from Larkspur, past the sobering, (according to Wikipedia) 275 acres of oceanfront, $100 million, prime real estate known as San Quentin Prison. The ferry ride is really part of the whole experience. People watching, the smell of the bay, salt air in your face and sheer anticipation of some of the best food on earth. 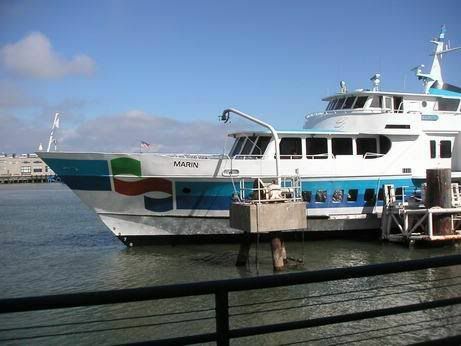 The one big drawback is that for the two of us, round trip ferry tickets cost almost $30. Right out of the starting gate, this is an expensive excursion. All told, we spent about $100, but it was well worth it. We had a taste of this and a bite of that, and were so incredibly full by the end, I don’t know how I ate another big meal that night. We did have a strategy that I recommend. We bought one of a few different things and shared them. We were quite full at the end, but that was after sharing a delightful pluot gateau Basque (small pastry from local bakery Della Fattoria), a watermelon and lime agua fresca and the best chilaquliles with refried black beans, eggs and avocado (from Primavera), a nutella bomboloni (small sort of donut from Boriana’s corner), two petit chocolates (from Recchiuti Confections), autumn royal grapes, and countless samples of cheeses, jams, crackers, breads, spreads, flower sugars and fruits. Since there was so much to do and take in, I decided to break up the experience into several posts. I was utterly exhausted from all the excitement, sun, walking, and tasting, but I can’t wait to go back. I really need to make more money so I can “feed” my fixation. 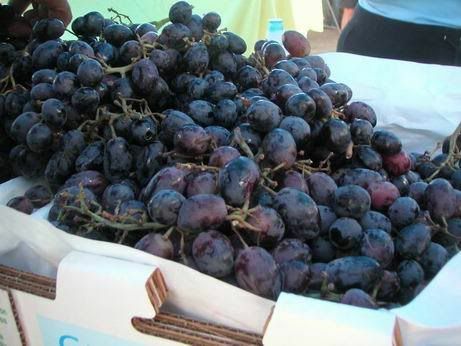 The San Francisco Ferry Plaza Farmers Market is held in and around the Ferry Building on Tuesdays from 10am to 2pm and Saturdays from 8am to 2pm. Ferdzy – You’re right! I didn’t realize until you said it, but purple WAS the theme. I had never heard of a pluot gateau basque before, but my life is forever changed. I’ll cover it in more detail soon. swoon is right.